Here’s another of those pictures doing the rounds of e-mail. 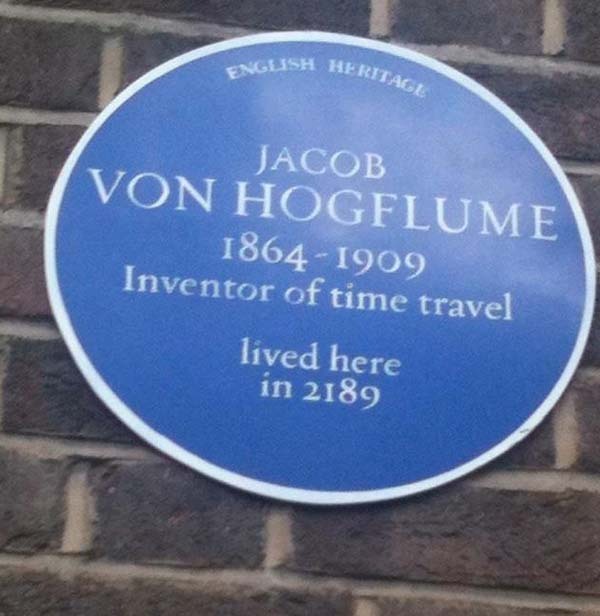 At least the inventor of time travel was British. Toodle pip.